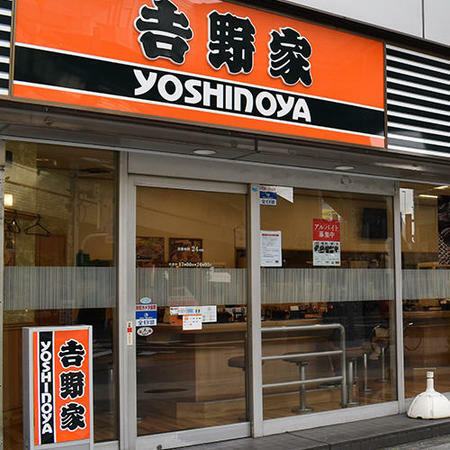 Yoshinoya was established in 1899 at the riverside fish market of Nihonbashi in Tokyo. 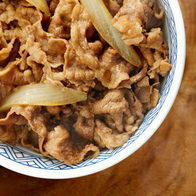 For over 100 years since then it has dedicated itself to serving “Tasty, Cheap and Quick” gyu-don dishes (beef rice bowl), delighting all its customers with its food and service. In addition to gyu-don, the restaurant serves gyukarubi-don (beef short ribs on rice), featuring grilled rib meat with an aromatic soy sauce, and unaju (grilled eel rice box), made of carefully-selected, plump eel meat flavored with the house-special soy sauce. Table seating is available for families, friends and colleagues to enjoy a conversation. Child seats and a children's menu are available. Please feel free to ask. Yoshinoya rises to the challenge of serving “Tasty, Cheap and Quick” food that is popular with all generations.